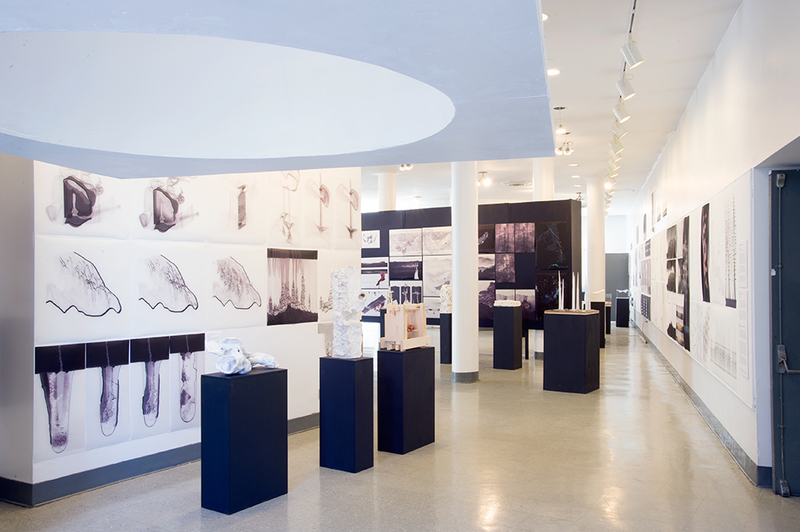 Throughout the 2013-14 academic year, the extreme dedication by faculty and students alike to investigate the discipline of architecture, to interrogate its essential principles while expanding its potential field, remained sharply focused, redoubling efforts in both the studio and classroom. From the first year’s investigation of the “architectonics of free speech” and the “foundations of architecture” to the thesis projects that addressed the social impacts of climate change, secrecy, spectacle and surveillance, mobile housing, historic/industrial preservation and many other issues through projects located in New York; El Choco, Columbia; L’Aquila, Italy; India, the arctic and other places around the globe, the work in the studio reflected a deep commitment to a close reading of place and the pressing issues of contemporary life through the making of an architecture both provocative and beautiful, at scales from the most intimate to the most broadly conceived. It is clear that our Cooper Union faces a grave crisis. 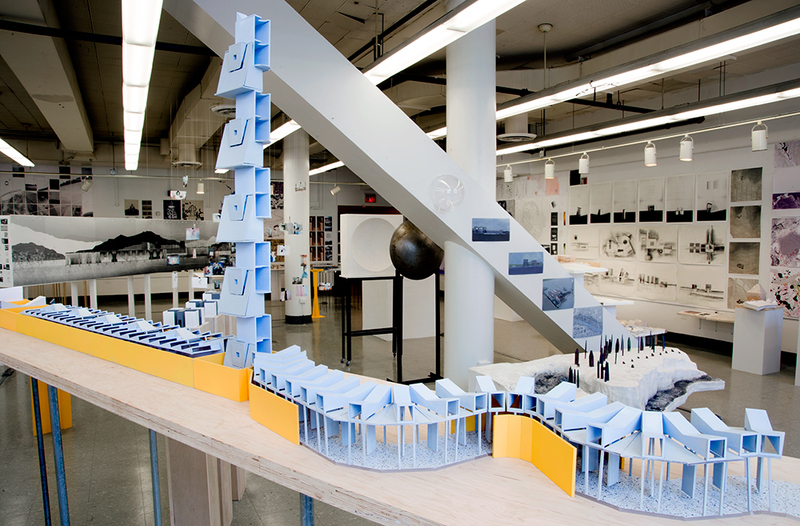 At its core, the question facing us is, what holds up The Cooper Union? This is no easy question but we believe we can gain insight into it by looking to the foundation of the institution— free speech. The Foundation Building is literally held up by free speech. The seeds of this foundation were planted by Peter Cooper and Abraham Lincoln, and from these seeds grew a magnificent principle, and the founding principle of this school—free education. It is not that The Cooper Union holds up free education but that free education holds up The Cooper Union. We are now confronted with a crisis that threatens to collapse this structural principle. As we struggle to address this crisis, to comprehend it, to navigate it and act within it, everything we need has been said in the Great Hall over the last 150 years—From Lincoln’s ‘Right Makes Might’ to Frederick Douglas and Red Cloud, to Joseph Beuys, Bobby Seale and Emma Goldman to the founding of the Women’s Suffrage Movement, the Red Cross and NAACP, the space of The Great Hall contains monumental moments, each grown from the urgent demands of a given period that threatened the fundamental principles of human rights. In each case, the crises caused by these threats lead to a clarification of the very principles at risk. Each of these moments galvanized the meaning of the principles themselves and led to movements that revolutionized the historic trajectory. 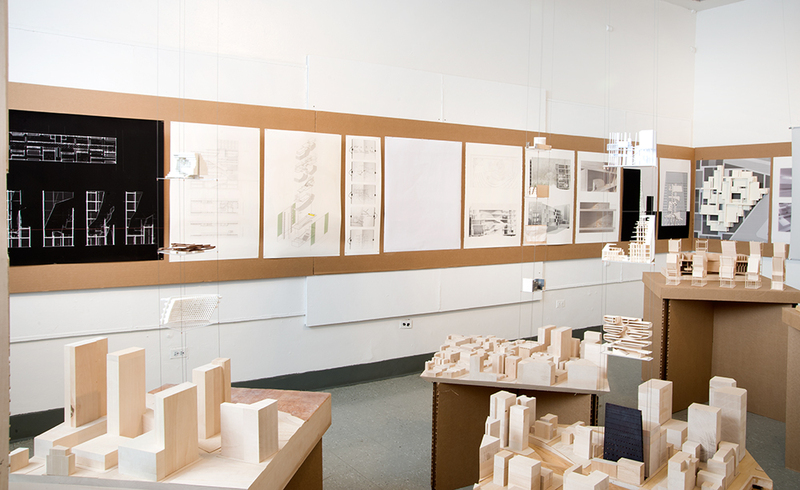 This year in Architectonics, the first year studio, we addressed the current crisis head on. 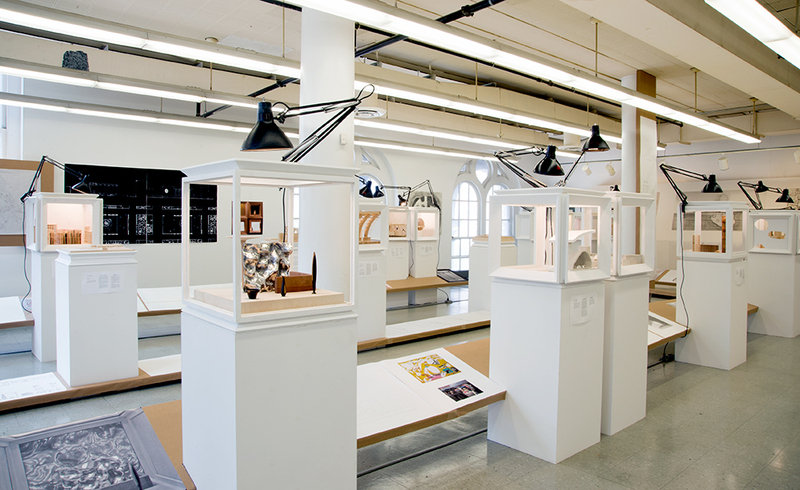 We took The Great Hall of The Cooper Union as our site, together the entire first year studio built a large model of The Great Hall. We then gave the students a list of 160 speeches given in The Great Hall over the last 155 years. Each student chose a speech and then studied it, the person who gave it and the time it was given. Working with these histories, they drew out the spatial structure of the speeches: the hinges, eclipses, captures, releases and found the structure of the speech. The architectonics of free speech. Through the precision of our language, our drawing, our making, we fulfill the promise of architecture and its social contract. 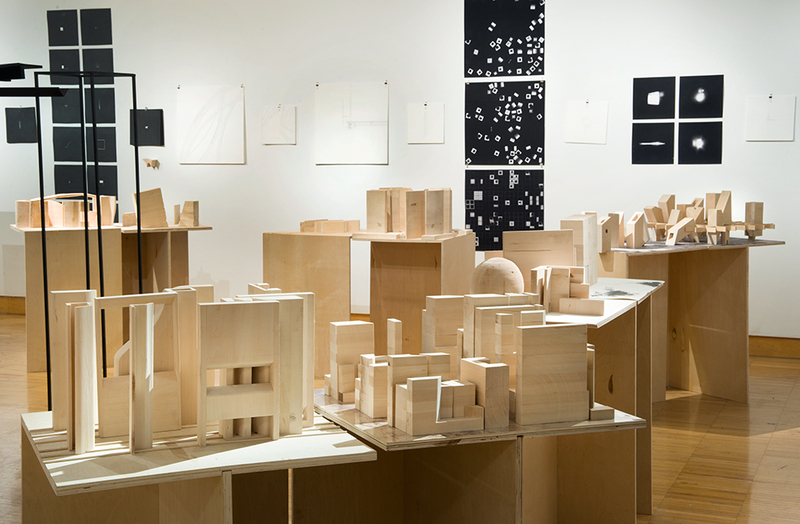 Architecture by definition is a social political act, it finds its ethical dimension in its capacity to articulate and manifest a spatial social contract. 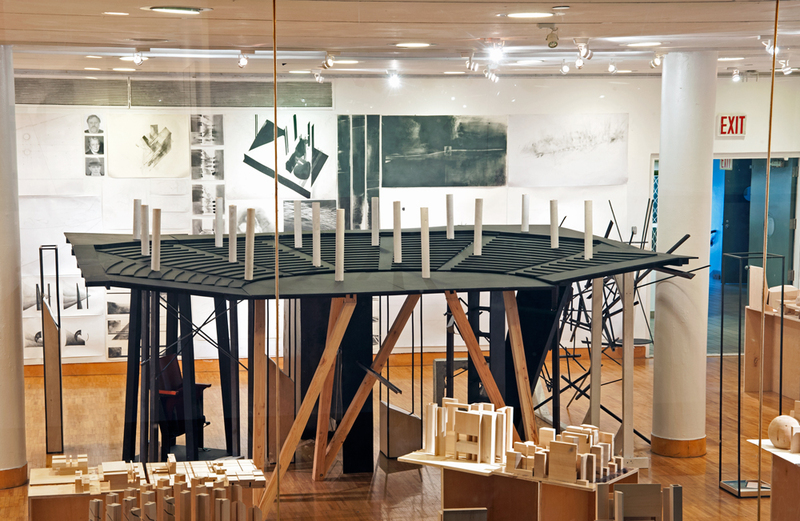 Each year for the last five years, in the first year studio at The Cooper Union we have assigned each class a group work, a project that they all have to construct together. Thirty people one work. These moments are filled with lessons, perhaps the most important lessons of the whole studio: the singular and the many, the social contract and its links to construction care, craft and community. This year we asked the class to build a 10’ x 15’ 1200lb model of The Great Hall, well crafted and in ten days. We have a long and detailed conversation about the meaning of communication, of language of comprehension and action. If you think of all of the moves that an individual would do over 300 days; the drawings, getting the wood, literally the body movements in the shop, perceive all of it as an individual choreography, you can very quickly realize that people can dance together, they can analyze the choreography and begin to understand how it can be distributed in time. This of course, requires a new choreography. First a verbal language, then notes, then charts and schedules, which align time, place, material and people. The key to the whole endeavor is that everyone must instantly recognize that the very first thing they have to build is NOT the Great Hall, but the communicative tissue between them, the organization and the choreography. With this comes a social contract and the primary structure being crafted is the community itself and there communicative exchange. The building of the Great Hall constructs the community that is building it. Without this construction of community, we would have never been able to levitate the Great Hall. 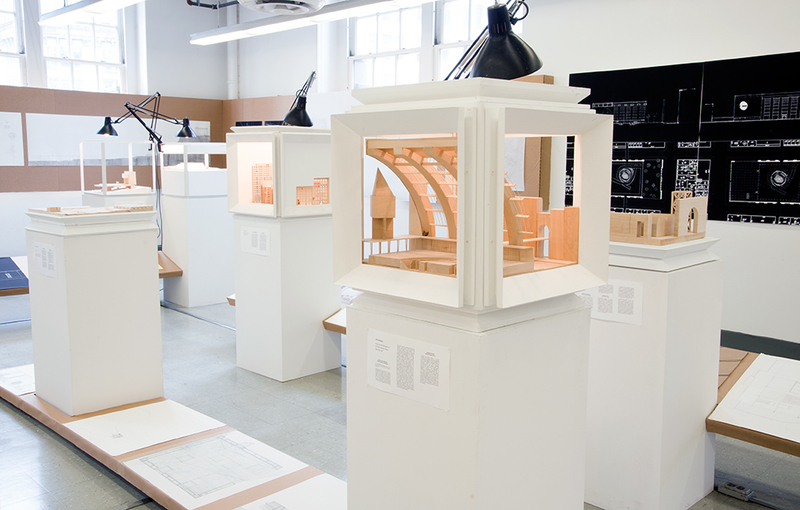 The Community of the Cooper Union has been levitating the Great Hall for over 150 years, This year, asking the first year architecture studio, what holds up the Cooper Union was an essential act of architecture. The Levitation that occurred offers clear evidence of the structural principles and forces of Free Speech and Free Education. 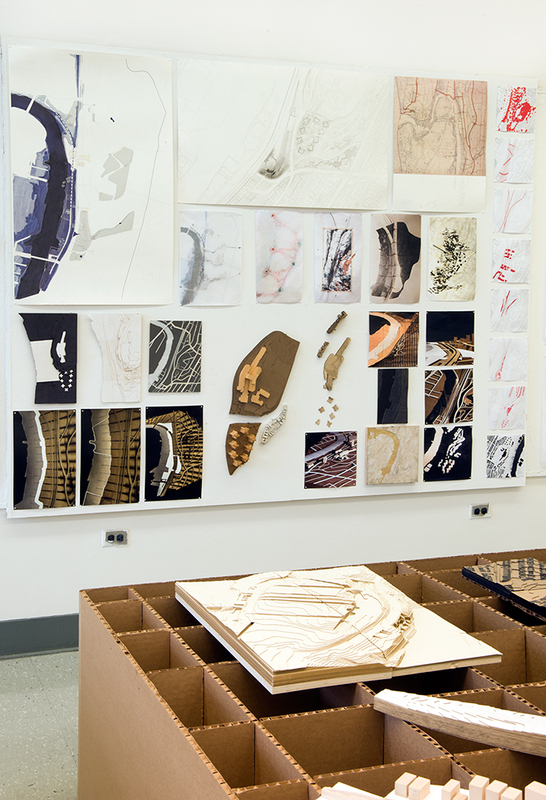 The students began the first phase of the studio by drawing full-scale fragments of a randomly selected arche-typical element. In this full-scale stage, the act of framing becomes key. The students isolated a significant ‘part condition’ to capture the unique essence of the assembly. Each element varies based on a unique arche-typical condition, for example flat vs. deep window. This isolated, framed condition then becomes a conceptual alphabet revealing a series of autonomous figures in either plan or section. 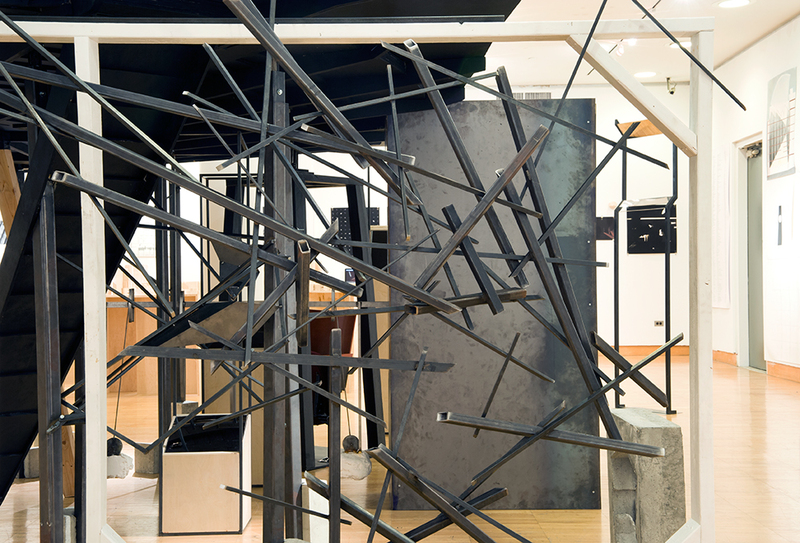 Basic understanding of assemblies and prospective part-figures of walls, columns, floors and openings at full scale within measured dimensions, proportions and assembly procedures starts to create a lexicon of architectural foundations in tectonics. This individual tectonic lexicon subsequently becomes the next significant authored act, where the type (after having been drawn as a distinct assembled system) is de-assembled. To promote the spirit of experimentation, the studio briefly looked at Ray and Charles Eames’ Powers of Ten as a model experiment (filmed solely in plan) that shows a multitude of scales in a ten-minute sequence. 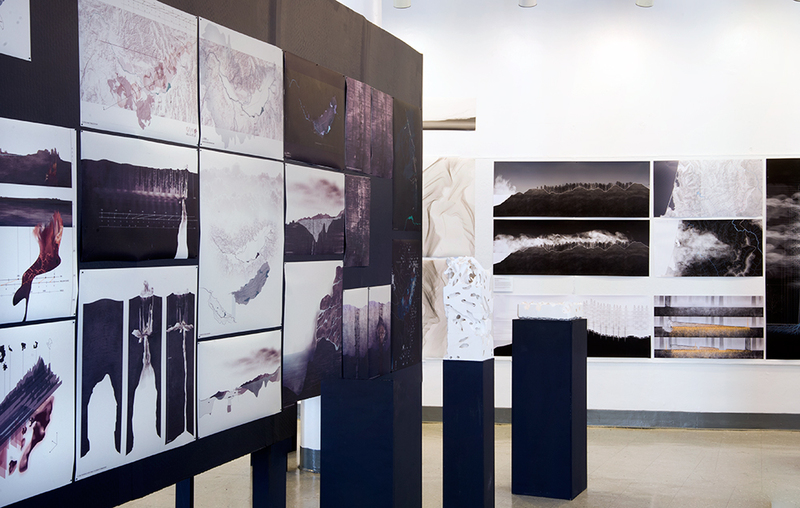 The students selected three (3) scenes at three (3) scales, and were encouraged to create a sequence of experimental marks and figures though a series of overlapped notational experiments, such as acetone transfer, where the result is new and unexpected and not pre-decided. These scalar marks create their own set of parts. The following phase of the studio begins to use mappings of the previously discovered alphabet of elemental “parts and figures” to be transformed through a series of tectonic operations in order to generate an inhabitable object. Within the limits of a cubic space, each student identifies his element (wall, column, opening [doors, windows, skylights], etc.) and its unique condition, and uses its programmatic limitation to create a new inhabitable space through a series of applied tectonic operations in order to generate a new spatial trans-formation. Having a choice between 1/2" = 1'-0”, 1/4" = 1'-0", and 1/8" = 1'-0” scale, each student starts to make a series of informed decisions to scale down and articulate a high level of detail to define human inhabitation within the limitations of a prescribed cubic limit. The ability to understand principles of experimentation within a notational scalar transformation becomes key in basic development of design principles. The following phase begins to identify and invent at any scale a sequence of field conditions and a new site domain. 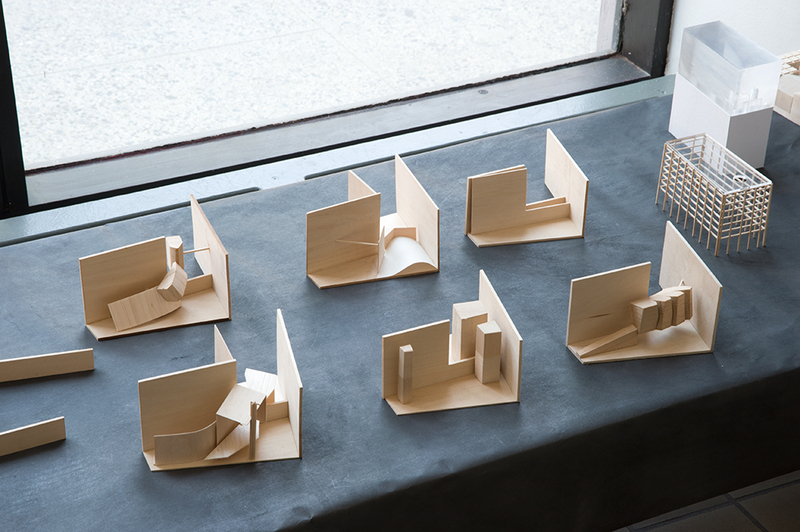 Students scale down their unique objects, cut into their tabula rasa field conditions to begin to test how they could work in parallel with either the remainder of the projects generated by the entire studio or their own individual syntax. 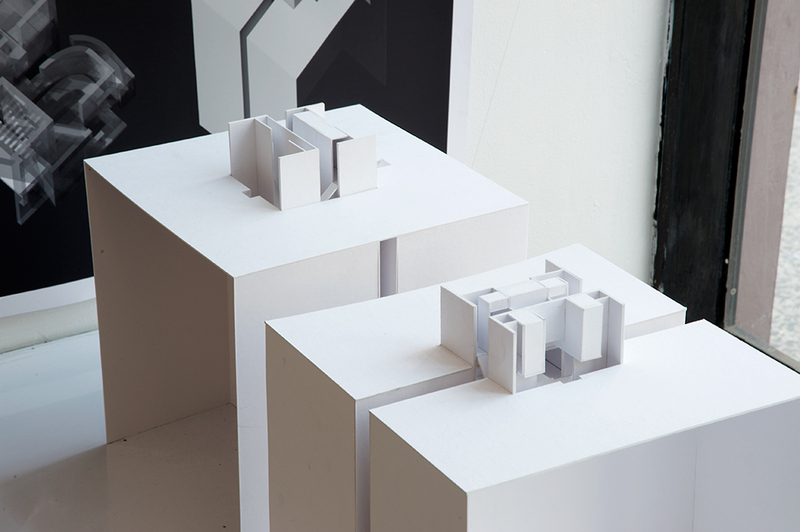 This process allows one to develop an understanding of architectural figures past the boundaries of an ‘object’ assembly crop with a challenge of creating and projecting a new tectonic site. 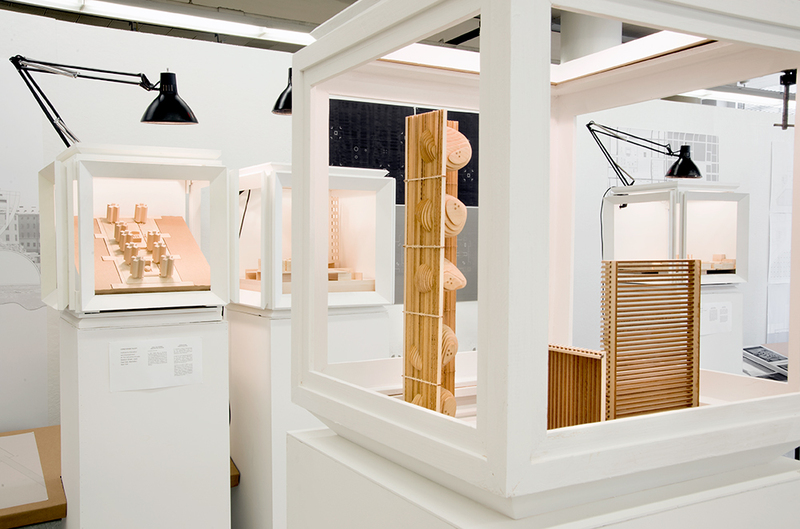 Explicit and implicit projection of grids, details, objects and vectors sets the underlying basis of construction towards a new invented site armature. The last phase of the studio initiates an enlarged architectural fragment in the concluding stage of each individual project. 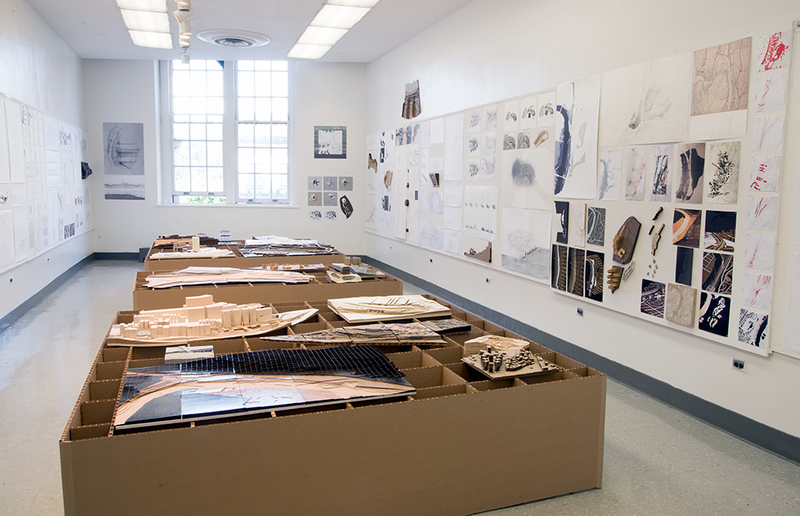 This highlights the trans-formation of each work and prospective element throughout the semester. 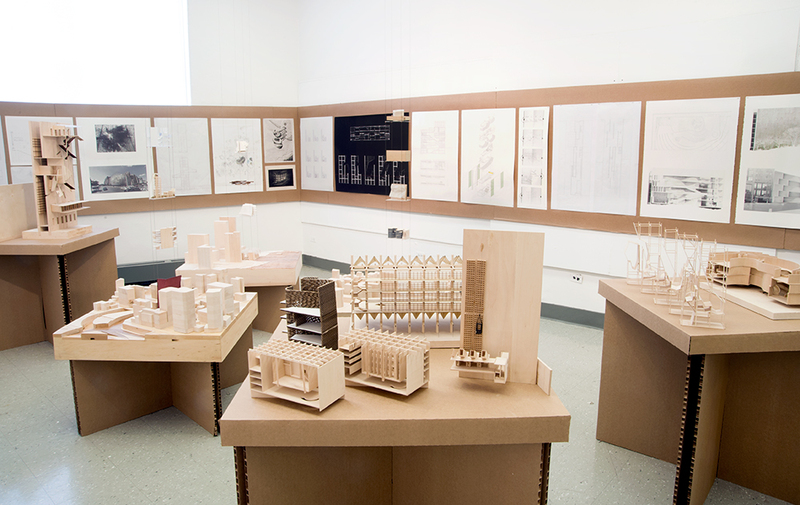 Each student’s body of work—or sequence of inventions—of a typical fragment re-introduced how each project and their prospective element have trans-formed during the semester in the conceptual categorization and active engagement in the larger dialogue on the fundamental elements of architecture. Many contemporary architecture strategies, reacting to the architecture of previous decades, have abandoned—consciously or not—the engagement with spatial structures that organize space in favor of superfluous formal differentiation. It seems that this movement in contemporary architecture is due to a growing fascination with incorporating the latest technologically driven computer algorithm into the design process, while disregarding any critical ideological position relative to an architectural cultural project. Postwar post-structuralist theories emerged as a reactionary force against the structuralism of modern ideologies. But since the 1970s, post-structuralism has slowly broken away from the philosophical premise that initiated deconstruction in the first place: to develop a full decomposition of any assumed disciplinary fundamentals. Challenging fundamentals meant first recognizing disciplinary canons. Disciplinary canons, such as the modern free plan, in turn would be displaced by revolutionary attempts that would then institutionalize new canons, affecting the core of the discipline and the evolution of its cultural history. But rather than focusing on syntactical organizational problems while investigating alternative displacements of these fundamentals, post-structuralist tendencies lately have been hiding or attempting to ignore deep conceptual structures in favor of superficial perceptual structures. Thus what is at stake is not to favor underlying relational logics against the perceptual, but to articulate and critique different levels of information. In this regards, the studio critically related structure to bodily affection. 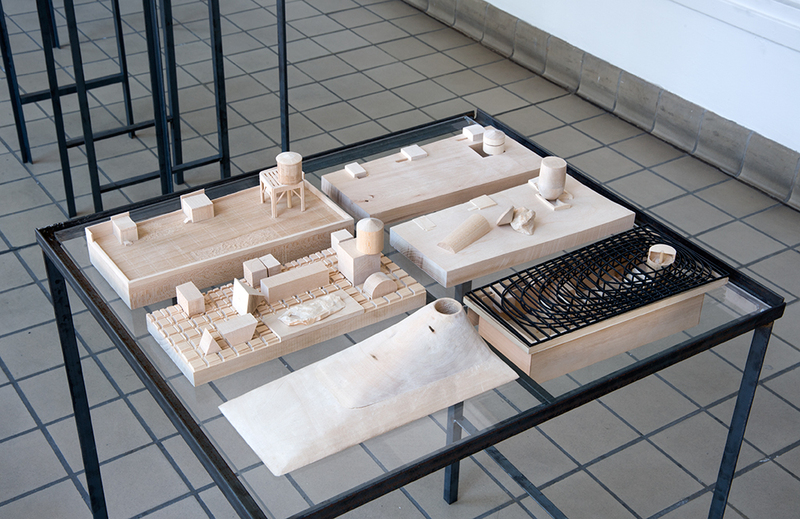 Design II studio searched for strategies to redefine post-structuralism as a continuity of structuralism, studying alternative critiques between typology and topology. These strategies were studied first through typological conceptual classification, a question identified with types and typology; and second through topology considered in terms of relative differentiation. These concepts are introduced by understanding topology as a displacement of categorical signification. Topology as relative displacement was then understood as a critique of the predetermination inscribed in the classification of order. But the relative was also re-qualified, giving a new direction to its role, by understanding it not as a means in itself but as a way to overcome predetermination and as a critique of the point of departure, establishing then the beginning of a new order. The generic nine square diagram constitutes an axis of reference across architectural history based on a structuralist idea of stability. This spatial organization, according to Wittkower, was identified by Palladio to compose his villas. 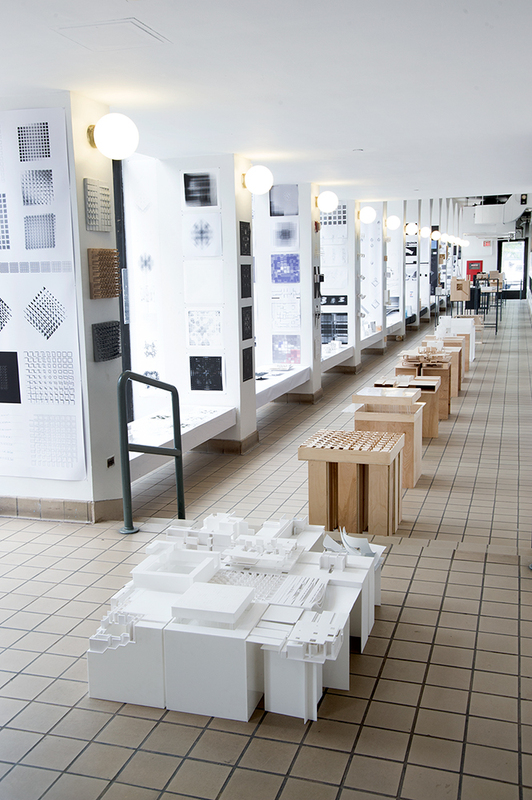 The nine square organization is also particular in the history of The School of Architecture of The Cooper Union. Colin Rowe, Wittkower’s student, traces a similar diagram between Palladio’s Villa Malcontenta and Le Corbusier’s Villa Stein. 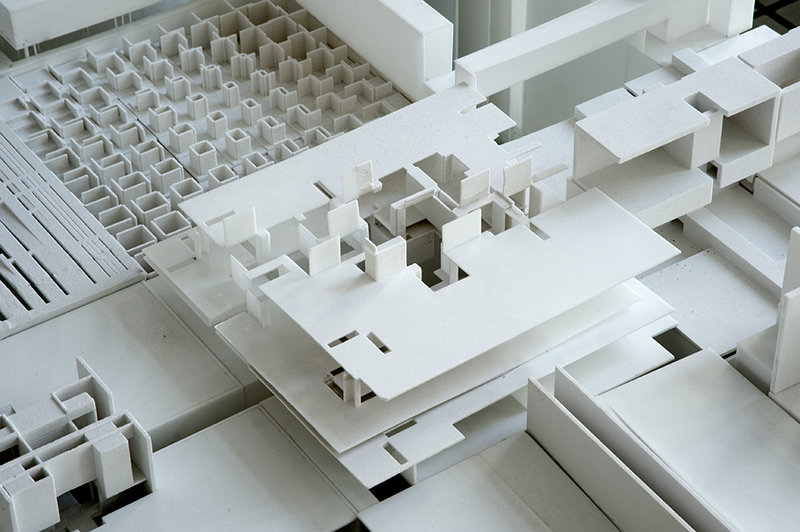 Terragni’s underlying spatial organization based on Palladian strategies, as well as John Hejduk’s Texas Houses and Peter Eisenman’s House series, complete an axis of reference for such a structuralist plateau. 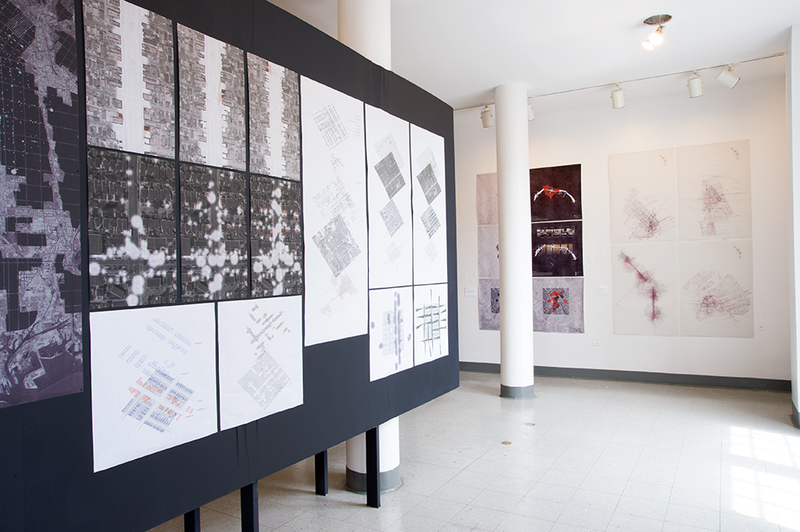 Design II students were asked to define vectorially a nine square grid, which worked as an underlying system to activate several house typologies. 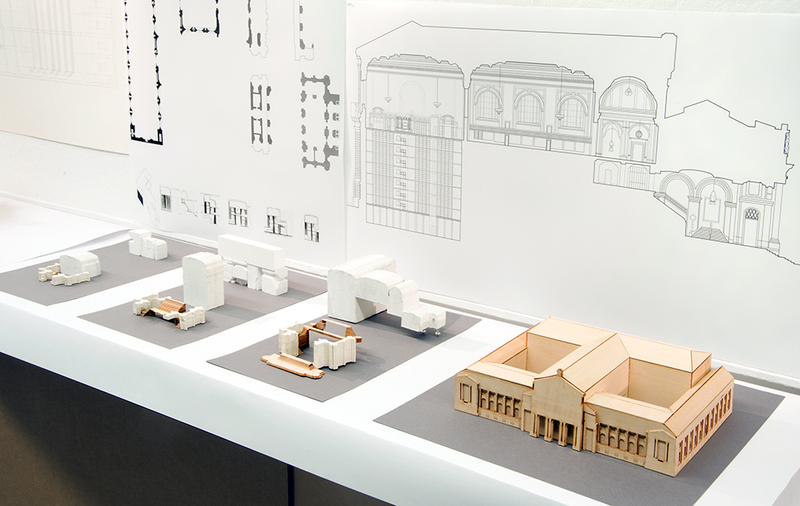 Students studied centralized versus layered organization, courtyard types, field-object and object-frame relationships and other conditions that qualified generic domestic types. 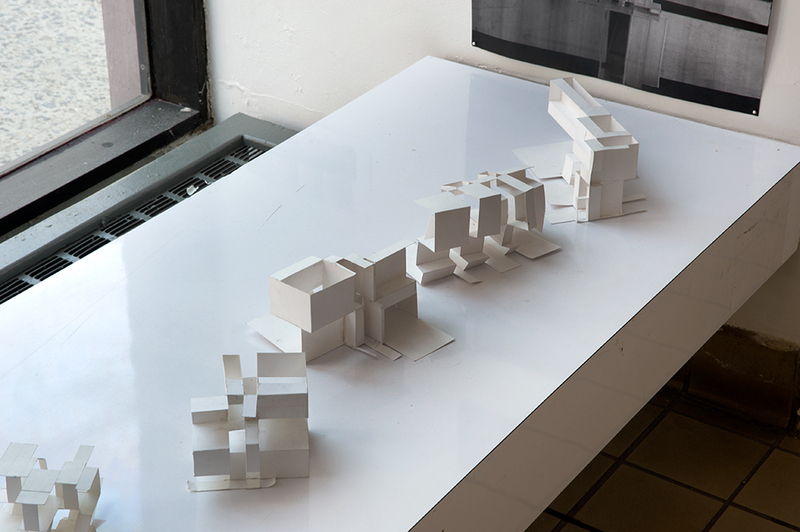 These generic typologies were then critiqued through parametric and topological relative displacements aiming to create novel typologies but also redefining the departing nine square grid, surpassing its pre-determination. 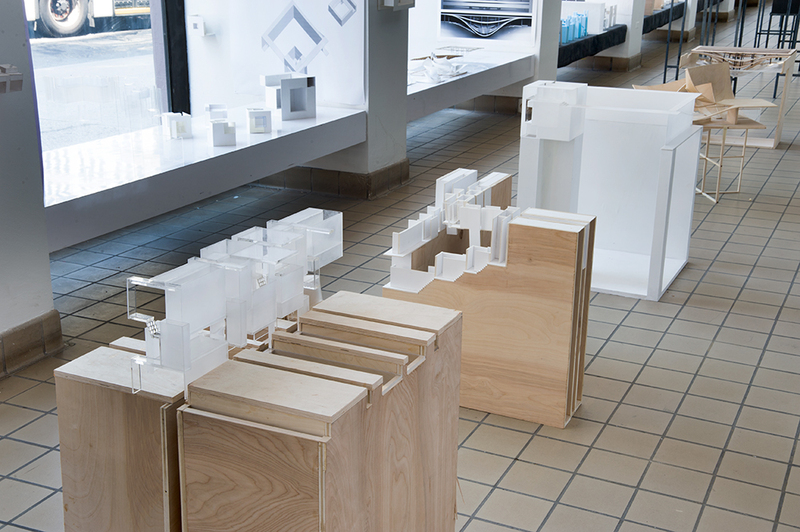 Contemporary architectural tendencies largely base their idea of differentiation on the displacement of the latest computer-based algorithm. In this sense, a new structuralism emerged induced by computation, marking an end to post-structuralism. 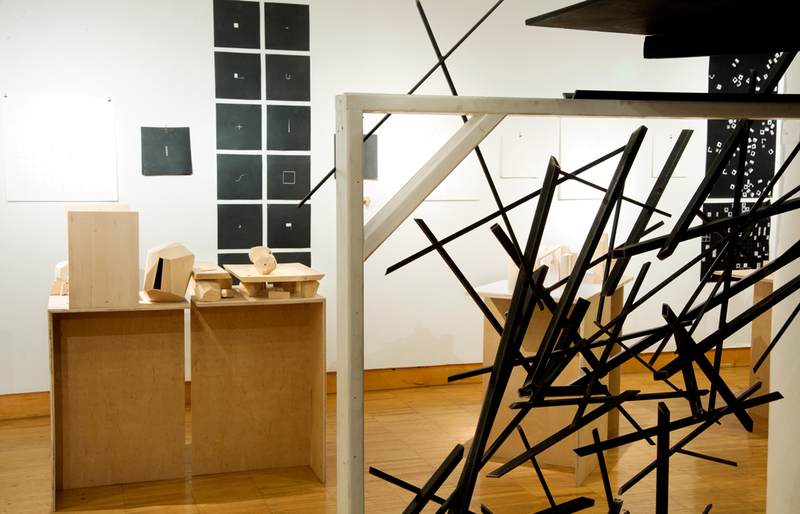 As a reaction to these tendencies, students studied the constitution of form through the development of the source codes themselves and the systems that striate them. These systems were displaced and their origin structures reconsidered through the implementation of different definitions of topology. This constituted the basis for a structuring of form that considers the relevance of processes and relationships in systems that ultimately constitute the basis of some problems in computation. Design II studio developed an “un-house” for a split couple with family. This hybrid typology presents cultural and sociological premises to be analyzed, studied and critiqued. A general group-site model and its emerging adjoining conditions challenged preliminary site decisions. The earliest examples of the zoological garden can be found in the royal courts of Europe towards the end of the 18th century and the beginning of the 19th century. First conceived as “cabinets of curiosity”, the earliest notions of the zoo could be found in the collection of small pavilions or pagodas, strategically placed within the expansive and picturesque gardens of royalty, in which the members of the court could meander through and discover exotic and strange beasts from distant and foreign lands. While the zoo eventually became a more public institution, it had an indifferent attitude towards shedding its ideological roots of colonialism, exoticism and human exceptionalism, treating the animals it housed first as objects exhibiting man’s dominance over nature or as objects of scientific fascination and study, and then later as agents of the natural world to be conquered and trained for purely entertainment purposes. While perhaps the contemporary zoo has evolved past these cultural models of mere spectacle and object fascination, and moved towards ideas of conservation and preservation for the range of animal species that are dwindling in the wild, architecture has had a limited role in redefining this evolving relationship. The simultaneously global expansion of urban environments and the depletion of natural landscapes provide an opportunity to recalibrate these seemingly opposed conditions and eventually reimagine how urban environments could provide spaces where a range of animal species, from the common to the endangered, are allowed to thrive and become an equal constituency of the urban population. Thus the zoo, no longer bound by the confines of the urban garden, but rather is now inhabiting the various liminal and left-over spaces of the city, a zoological archipelago creating heterotopic moments in the city as the result of the collision of the rational and the feral, of the man-made environment and the natural world, and the conflict of the desires of man and the forces of nature. 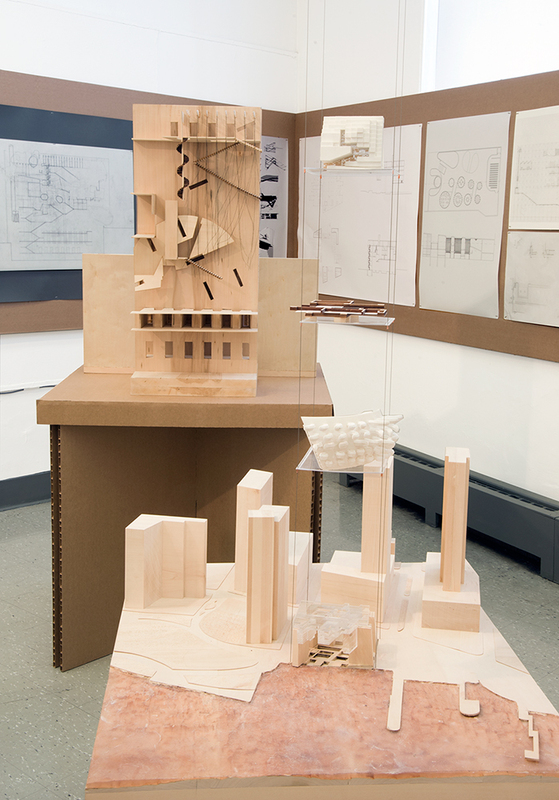 Under the pretense of designing a menagerie of individual animal houses, which in turn will produce a larger distributed “zoo” network throughout the urban context of the West Village, the students were asked to locate a site from which they would cultivate their proposals. Not defined by the normative parceling of land, property lines or zoning envelopes, these liminal urban spaces were chosen by the students for their latent qualities and potentialities that were then, in turn, developed, with equal amounts of conceptual rigor and imagination, into highly abstracted landscapes, transcending their origins in order to achieve a new conceptual and spatial status. Having developed a highly specific conceptual and formal vocabulary from their sites, each student then had to introduce an intervention that responded to and engaged with the constellation of forces, vectors, and elements of the site. In tandem with this exercise, the students also chose an animal to study in relation to the human body—comparative analysis of their morphology, studies of their range of movement and means of locomotion, research the various mediums/phases of matter in which the animal moves and operates not only in relation to abstracted notions of their natural habitats (how the animal movements in relation to punctual, linear, planar, and volumetric organizations) but also to the surface areas and volumes equivalent to those found on the site. This information was then put into conflict with the site intervention in order to structure and mediate the relationship between the two subjects. 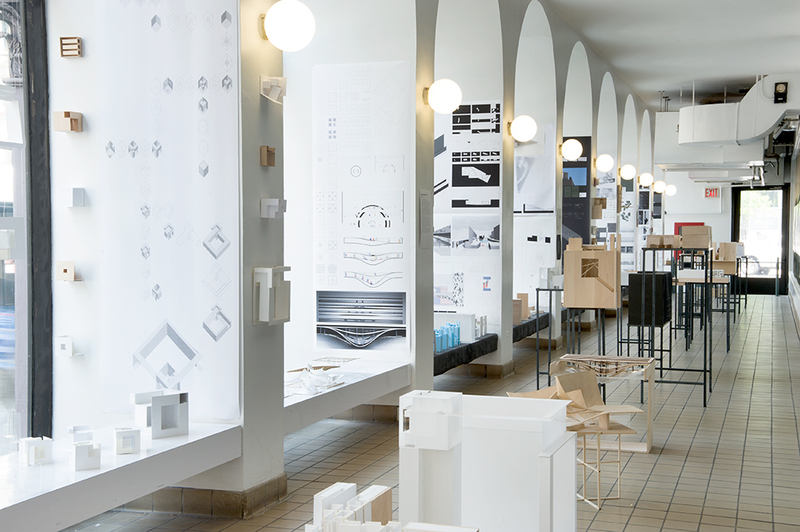 Due to the vast array of non-anthropomorphic criteria put into conflict with the architectonic elements, many of the assumptions upon which the discipline of architecture is predicated are now forced to be reimagined. The stable relationships that architecture has with human body, due to the human bodies relationship towards matter, geometry, gravity and scale, has unmoored the underlying principles that govern architectural form and necessitate a radical re-engagement with the motivations of an architectural language. 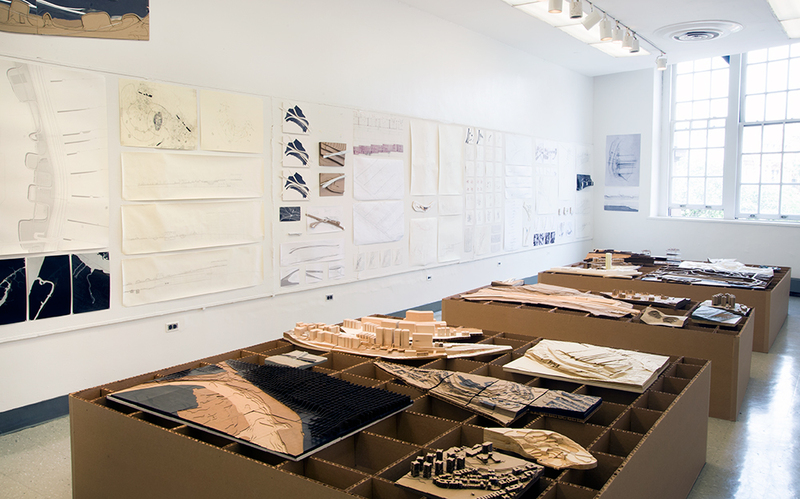 The Third Year Studio introduces building typologies of a greater complexity than those treated in the first two years and develops both analytical and design skills around a comprehensive consideration of site, program, structure, mechanical systems and building envelope. The selection of an institutional building type for the year’s work provokes an engagement with complex programmatic considerations and a rich history of formal precedents; it also positions the entire Studio in a critical relationship with social patterns of use and representation. 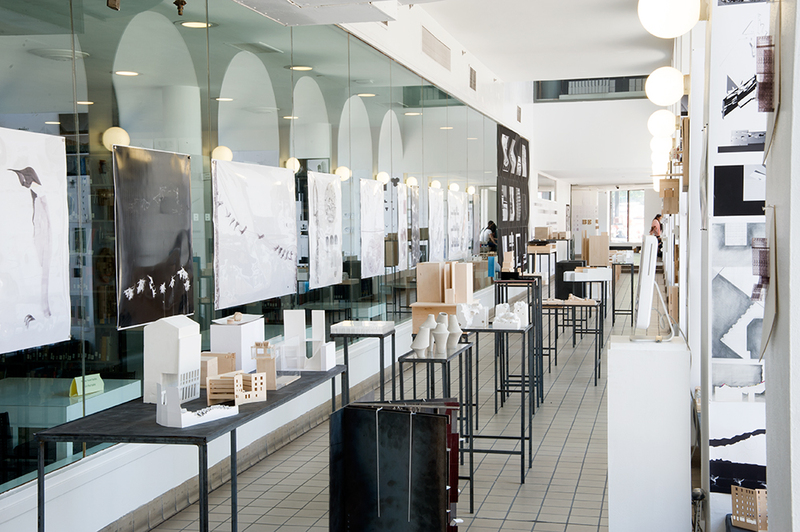 This year the Third Year Studio sequence was again divided into two separate but related semesters, each combining analysis and design, both working with the same institutional program: the Library. Most of our modern institutions, and virtually all of our institutional building typologies, are products of the Enlightenment. Schools, museums, libraries, hospitals, courthouses and prisons were all fundamentally (re)defined towards the end of the 18th century and a great experimentation ensued in which new building types were gradually developed, many of which persist today. Institutional buildings are public buildings, which means that they are collective settings for individual experience. Their ‘purpose’ is to create the conditions in which each person’s education or research, exposure to art, palliative care or justice, can be achieved alongside that of many others. We know and judge our institutions by how well they serve each of us but they work as public institutions only if they serve us all. The architectural challenge of responding to such programs is to find a method for moving beyond the architect’s personal experience and convictions to a full engagement with the public nature of the institution and the needs and desires of an unknown group of others. Thus, for the Library, at the heart of the design problem is making an architecture that thoroughly supports each reader while accommodating all of them. Size, scale and number become critical and the nature of individual experience in the collective realm is the constant frame of reference. Furthermore, because they are public, such buildings also have a very particular representative function and must embody their institutional identity in a manner that is legible and meaningful, even as our expectations of what they mean and how they mean it change over time. The fall semester began with three quick, intensive exercises of a week’s duration, designed to examine the space of reading. 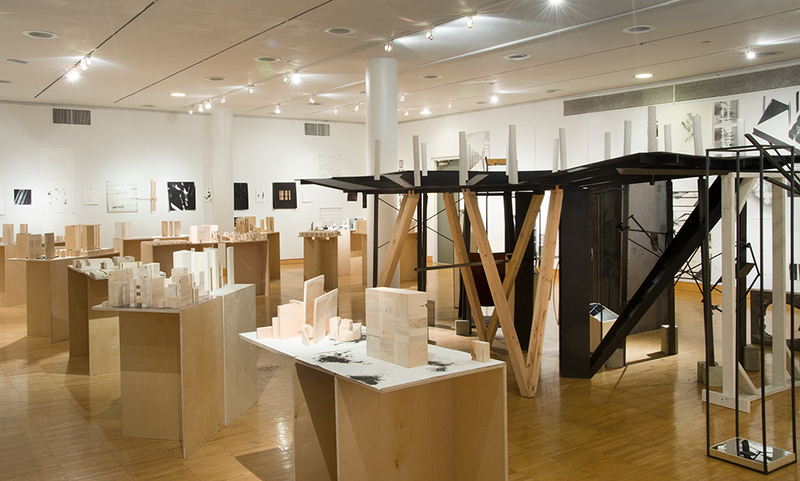 The weeks that followed focused on the analysis of a group of historical and contemporary libraries in terms of site, massing, materiality and formal language, working from the ‘outside in’ to understand how specific libraries resolve the complex question of their place in urban and public space. The reference buildings ranged from Labrouste’s Bibliothèque Ste. 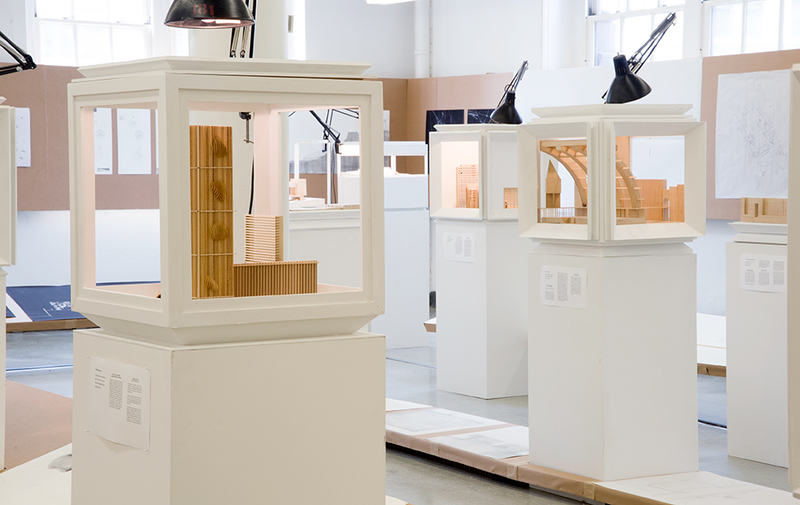 Geneviève through 20th century buildings by Asplund, Aalto, Kahn and Scharoun to contemporary examples by Ito, OMA and Kalach. Structural and mechanical systems were documented to analyze their role in determining design; building envelopes were analyzed to understand their material, formal and representational terms. 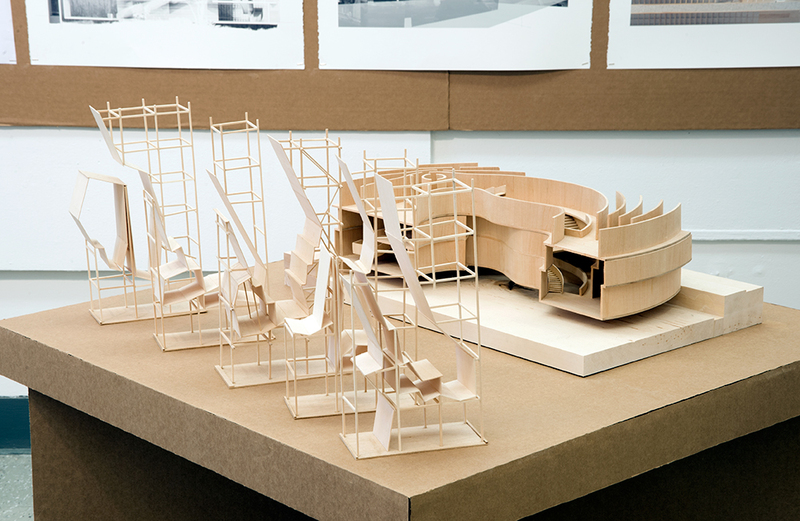 The semester finished with a design exercise wherein each student was asked to extrapolate a set of principles from the analysis and to synthesize a proposal incorporating a critique of the original reference and thus staking out a larger position with respect to the library as a contemporary building type. 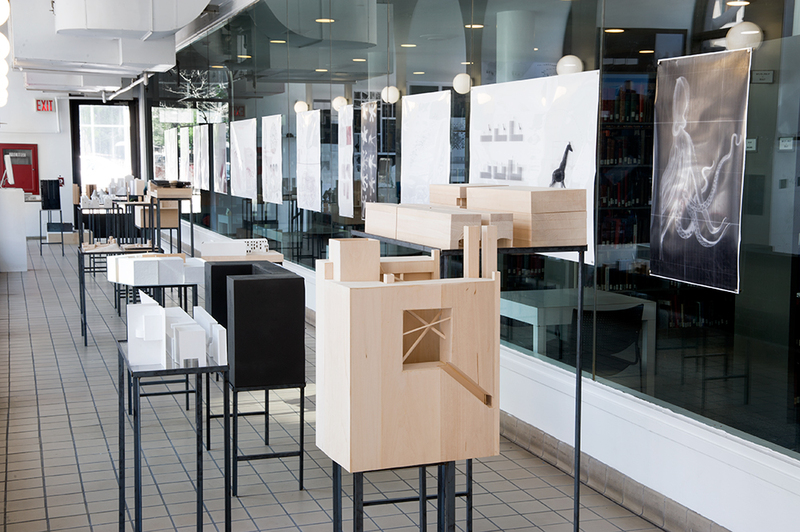 The spring semester of Design III continued the previous semester’s analysis projects focused around the typology of the library. 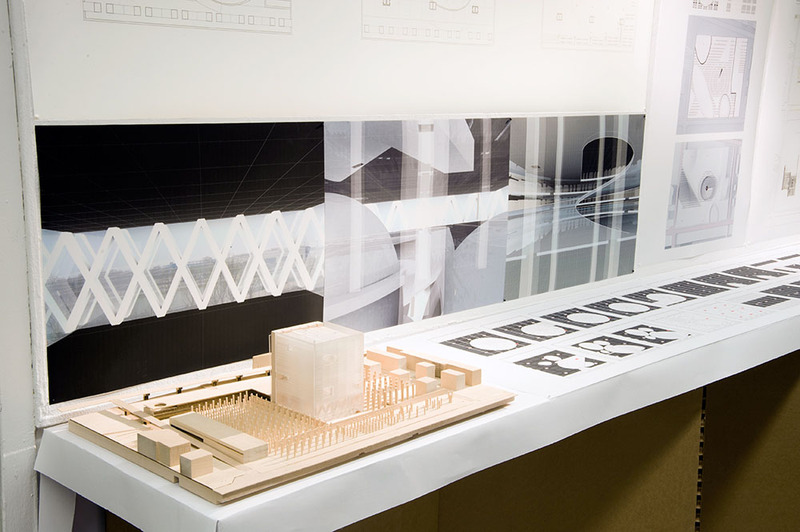 The studio extended these ideas in the development of a new design project that integrated the analytical findings into a resolved architectural proposal. 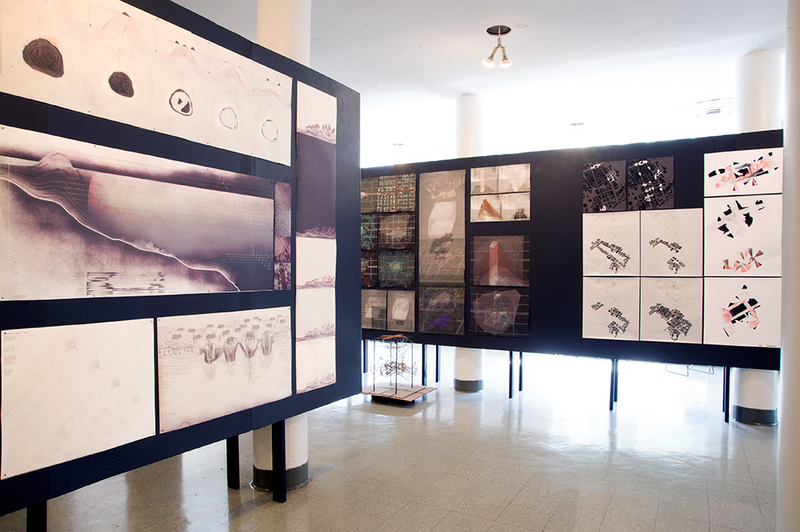 This semester developed and articulated the resolution of constructive, structural, environmental, and lighting ideas integrated into conceptual and aesthetic arguments. 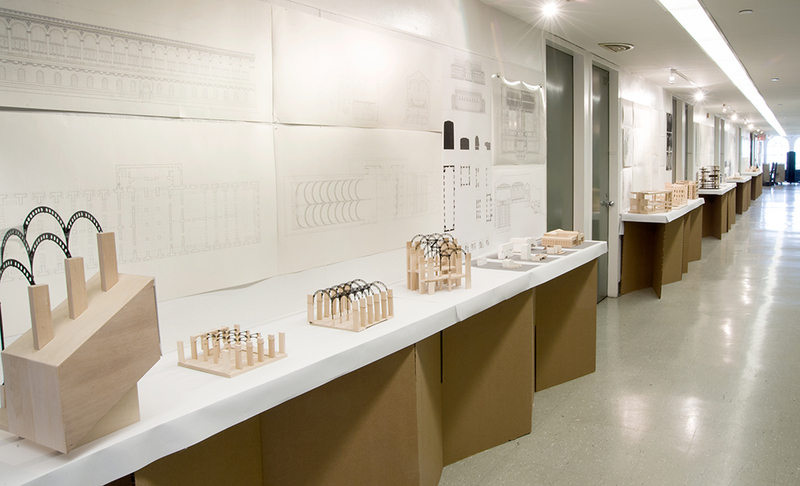 The extended faculty of the Building Tech, Structures, and EVT courses were an integral part of this design studio. Program, Site, Material and Tectonic are crucial elements in the development of architectural form and the means by which they structure human environments and relationships. Program is both the reality of functional use, and the scenarios of imagined narratives. An architectural Site consists of an urban context or a condition of landscape, and the cultural understandings that influence the reception of a built intervention. 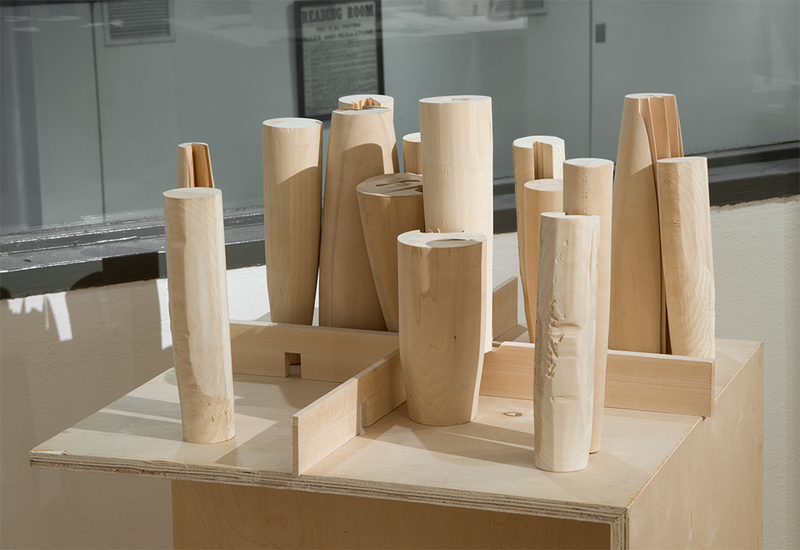 Material, which may seem straightforward, real and direct, contains questions regarding the status of nature, artifice and craft. The Tectonic idea and the articulation of a building’s assembly is never as simple as revealing the construction and is often as much about what is concealed as it is about what is revealed. Further, the meanings of these terms are no longer the same today as they were a century ago. An understanding of the role and influence of these issues on architectural design is fundamental. 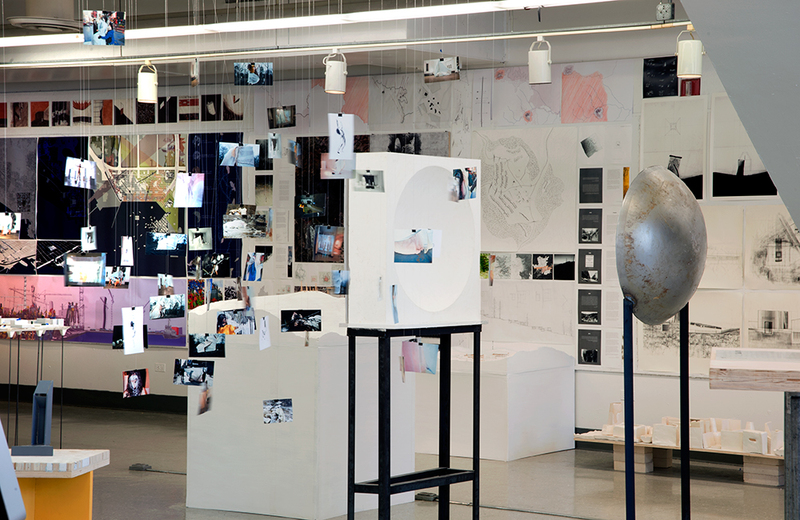 The studio asked students to examine and engage these terms as dynamic, shifting and historically contingent. 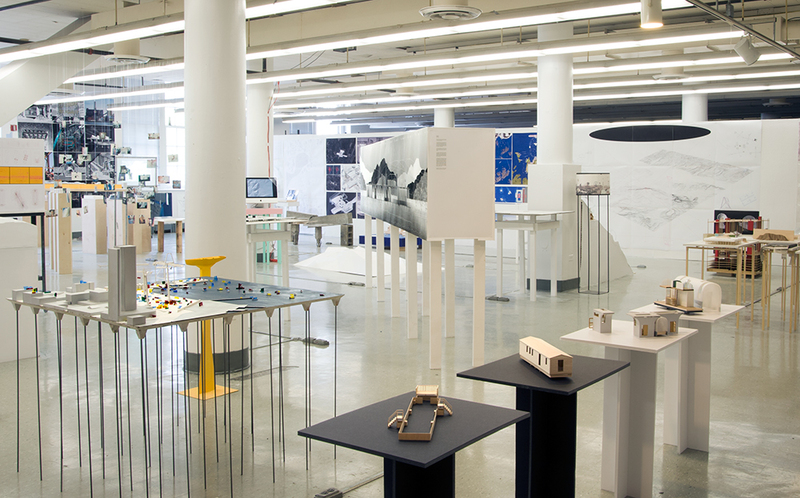 The spring semester of Design III addressed these questions through the design of a library sited in one of three sites across the boroughs of Queens, Brooklyn and Manhattan. The semester was structured through a series of three exercises. The first question was an interior design of the stacks organizing the library’s collection in relation to the reading room(s). 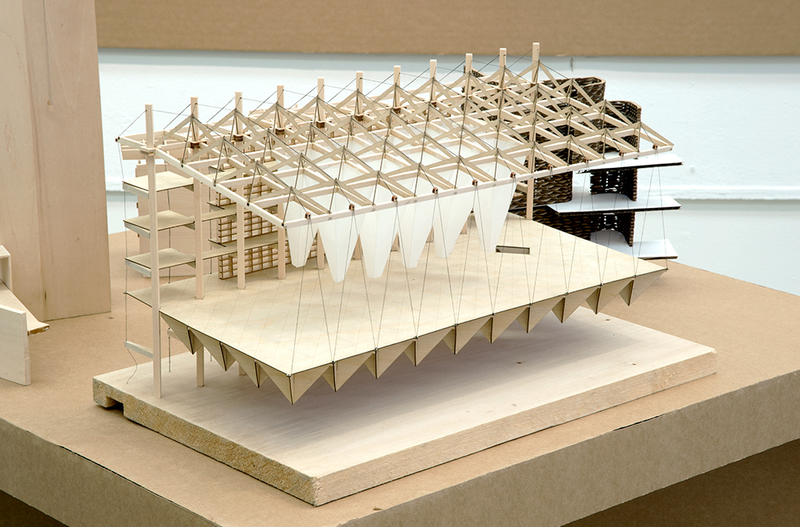 The second exercise was an exterior design of multiple schemes of massing in relation to conditions of site. Finally, the full library program was developed in relation to its site as a final building design over the second half of the semester. 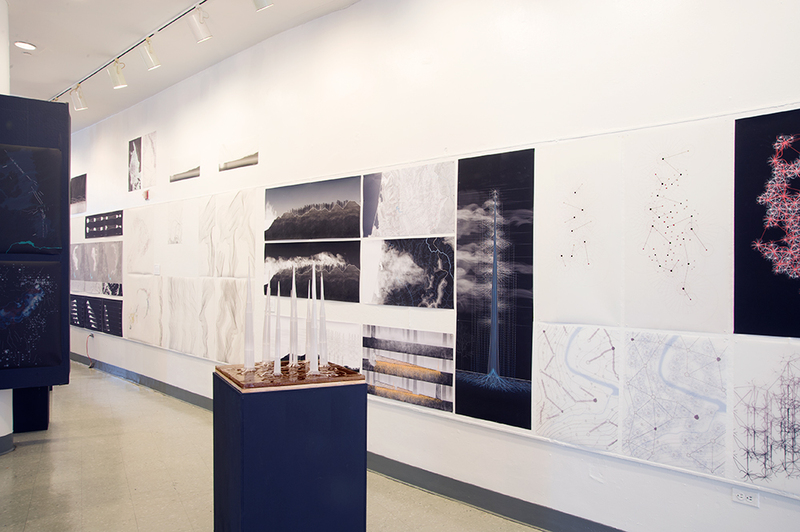 The fall 2013 Forth Year Studio introduced students to urban design by investigating the possibility of integrating architecture, landscape, ecology and infrastructure. 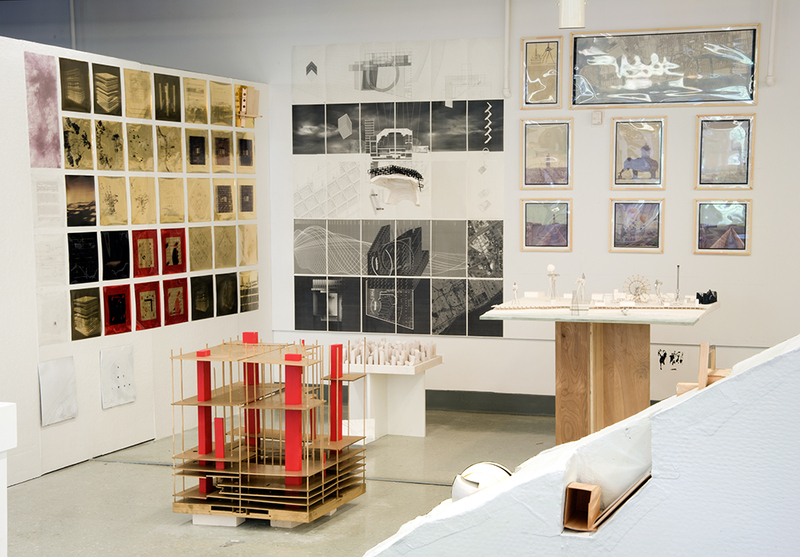 Based on the premise that the emerging urban condition transcends the limitations of traditional definitions of these disciplines, the studio sought for design propositions that offer strategies for integration. Establishing constructive forms of exchange between analytical research and design, the studio pursued an exploration and re-imagining of a site that included an archetype of modern urbanism, transitional zones occupied by arterial transit routes, abandoned industrial corridors and spaces that defy definition. These territories, common to many aging post-industrial cities, remain under-utilized and resist becoming part of the city fabric. 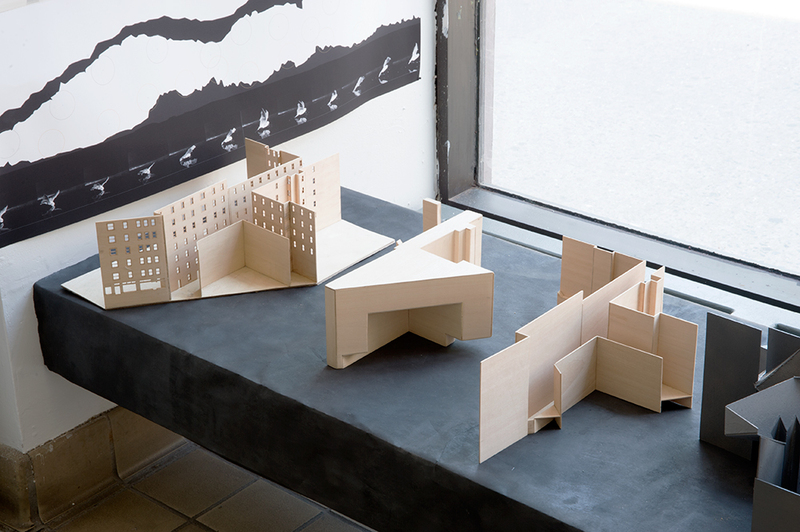 The work of the studio sought to cultivate and employ different scenarios for the proposed site while examining diverse design approaches of urban transformation. 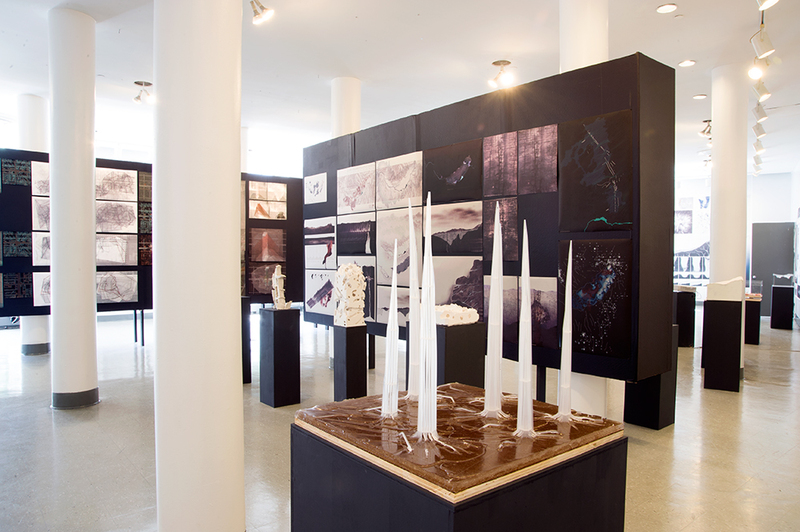 In rethinking the role and relationship between landscape, ecology, infrastructure and architecture, the studio examined the pertinent socio-cultural and urban themes while critically appropriating environmental factors as an integral part of the design process. This implies thinking and designing on a diversity of scales, and taking into consideration an approach where different scales reside in one another. 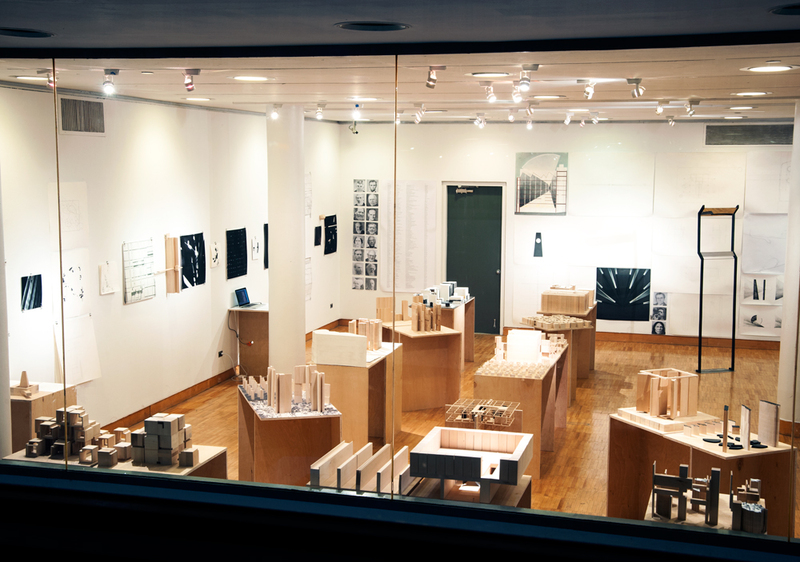 The studio focused on an area at the edge of the Harlem River in Kingsbridge Heights. Sitting on a steep topographical drop, the area is fractured by the multiple lanes of the William Francis Deegan Expressway, four sets of active and inactive railroad tracks and industrial brownfields. 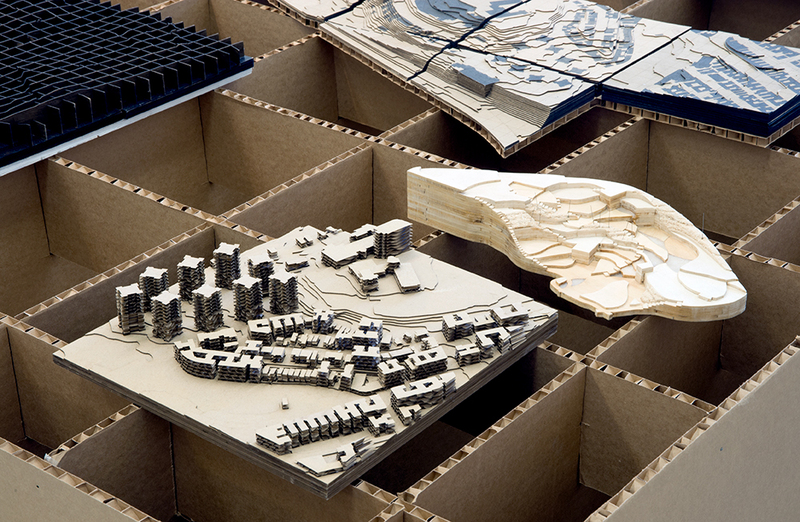 The urban tissue is further fragmented by the convergence of diverse morphologies. Hence, topography, infrastructure and urban morphology all play roles in severing the waterfront from urban life. 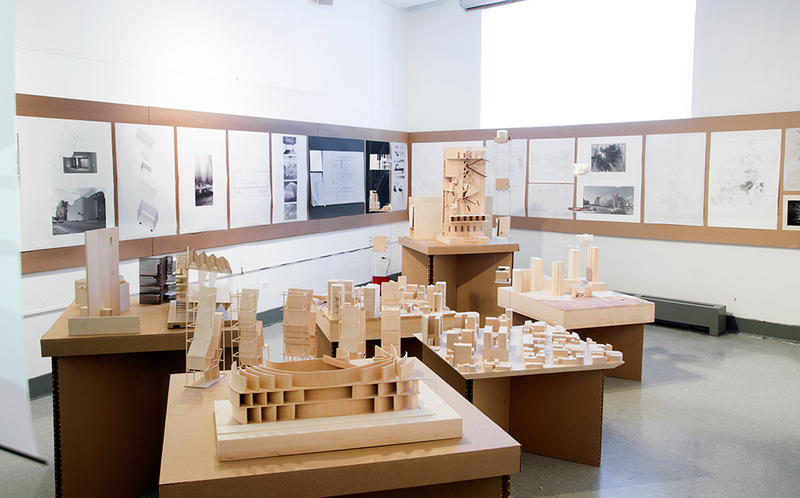 By considering specific edge conditions, the studio was able to explore the possibilities of connection while questioning why and how to strategize connections in an urban context. The rationale for these connections expanded from a desire to reconnect the city to its geographical roots, to propositions for changing land use and facilitate transitions to new models of urban structure. 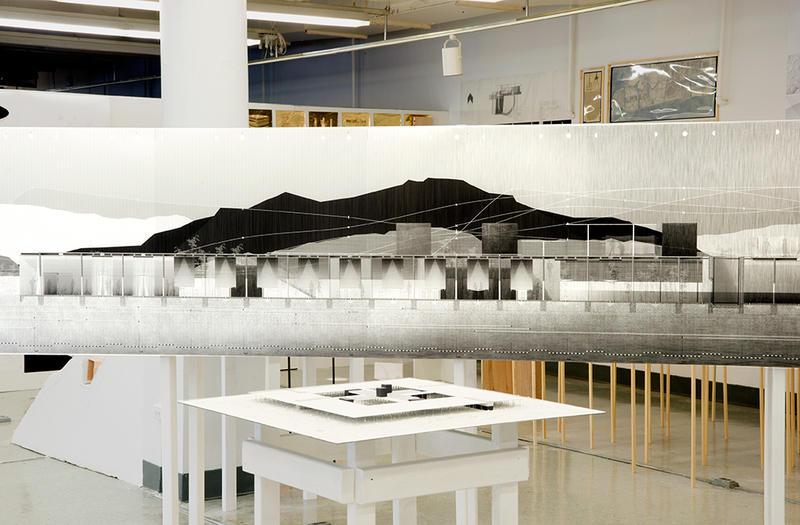 The site chosen for study was located on the eastern upland banks of the Harlem River—a body of water that has been radically transformed through the industrial era. Historically it was only a small stream course consisting of mostly tidal flats and wetlands. The selected site had very specific geophysical, cultural and historical attributes that impacted the proposed architectural actions. Around 1920, the estuaries of upper Manhattan were dredged out, straightened, re-mapped and referred to as the Harlem River Ship Channel. The stream course was altered and the shore likewise has undergone many changes, from farmland then dockyard and now a lost remnant belonging to industrial neglect. It is also a place that nature, however tenuously, has begun to re-colonize. 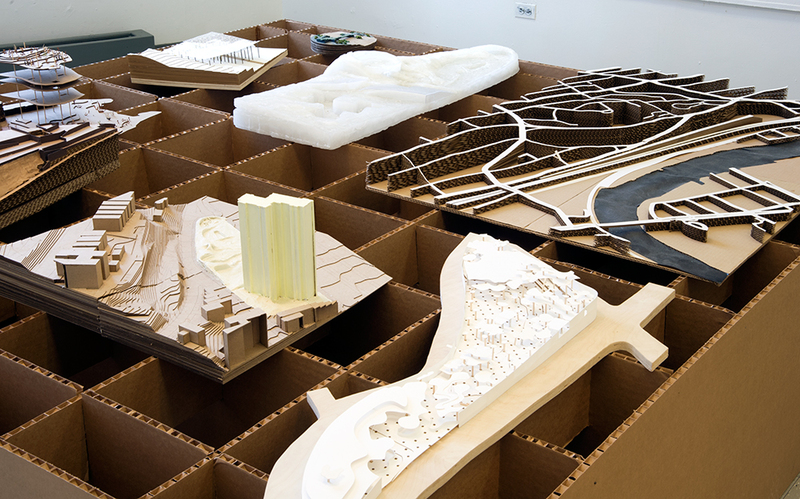 The studio addressed a twofold program connecting the Heights with the water, while accommodating, defining and programming a Harlem River center for urban agrarian culture. Both programmatic segments are interwoven with each other, proposing the inhabitation of that transition between the water and the city. The program involved the integration of productive landscape, agriculture, energy, infrastructure, transportation, and all other appropriate ideas of urban life. The center for urban agrarian culture imagined urban agriculture in this specific context, as a new evolving model of human settlement. Projects sought to determine the activities that could take place on site in their own terms and develop programmatic scenarios of occupation and connection. 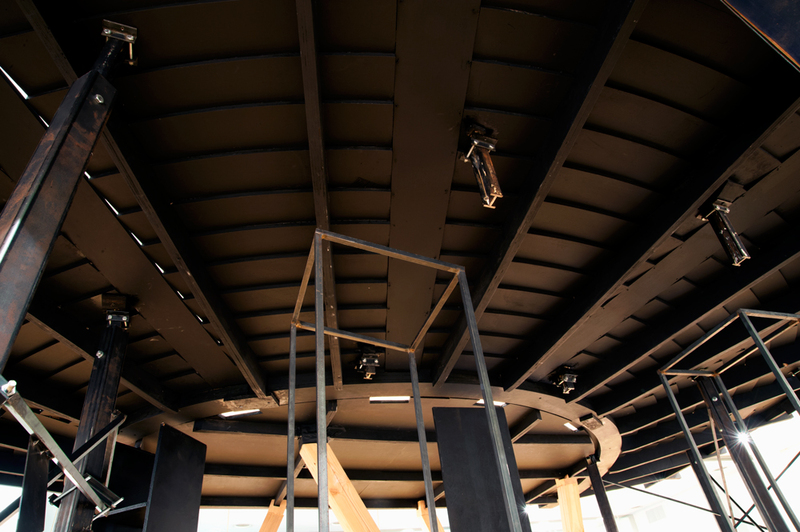 This little diorama theatre is a tool in which to“ stage” a set of elements, followed by a play and sequence of the characteristics of such an element as both an autonomy in space, and in relation to other elements in space. Plans and sections of these elements were drawn, and the experiments were photographed. 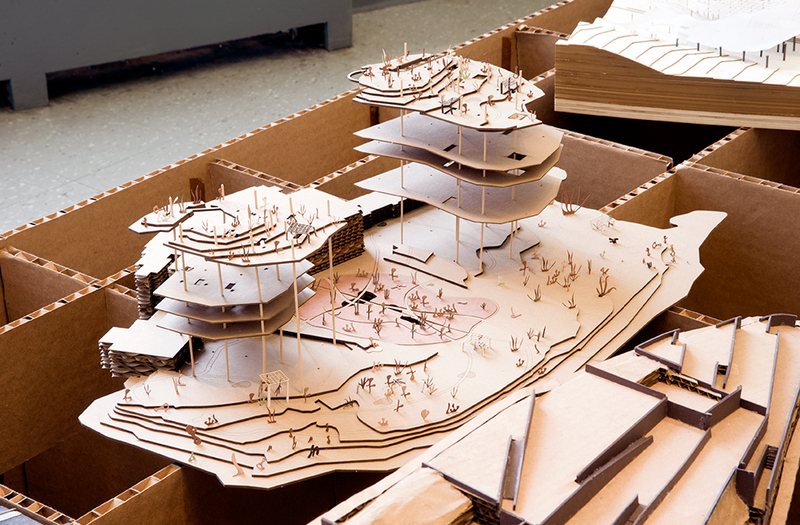 The challenge was to confront these elements with a site and a civic humanitarian program in order to develop exactly how they are inhabited to play their role in the proposed architecture and manifest a place for its activities. 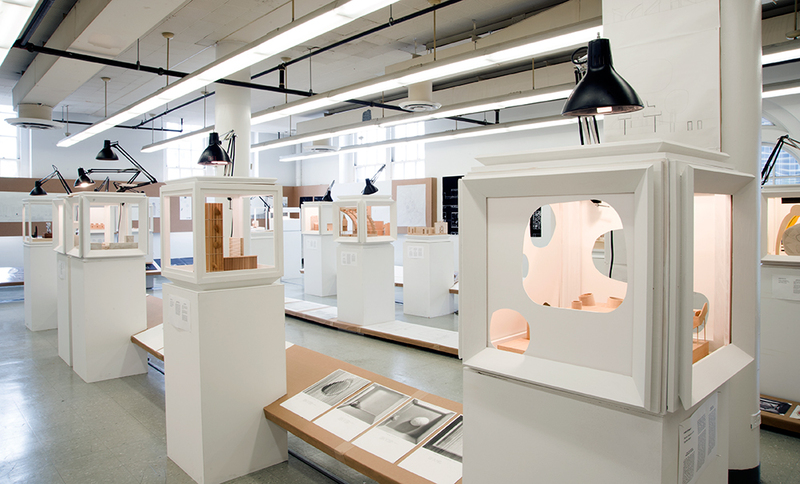 The tradition of the “teatrino” has two roots important to the concept of this studio. The first root of the “teatrino” diorama is the theatre for the Commedia dell Arte, and its principles. The Commedia was rooted in ancient theatre and evolved into the street theatre that precipitated and disseminated a consciousness that is attributed to the democratic revolutions and the demise of monarchy. In that sense, the great post monarchial institutions such as the Biblioteque National, The Paris Opera, the Altes Museum, the League of Nations, the Bauhaus theatre projects, the United Nations, the Palace of the Congress at Chandigarh and the Parliament at Dacca are the forebears to the project we experimented with. The relation between the elements and the program of each of these masterworks of democratic civic architecture were studied. The Commedia dell Arte relies on a set of basic theatrical plots, and a cast of characters which each embody an identity or strand of the social order the most memorable being Pulcinella or Arleguino who slap a stick to change the scenes. Just as the characters of the commedia carry social importance or content, the initial elements each studentpositioned and photographed in their theatre were derived and studied to carry the character, ambulatory, and spirit of their programmatic role, each being developed as an inhabitable space such as auditorium, theatre, library, chapel, anatomical theatre, classroom, or other significant organ of the institution proposed. The second tradition of the “teatrino” is exemplified by the little theatre Rossi built to stage the history of his own architectural oeuvre. This is an operation that is shared by many auteur architects who have signature orders and elements that they are interested in evolving in a discourse with architectural memory. 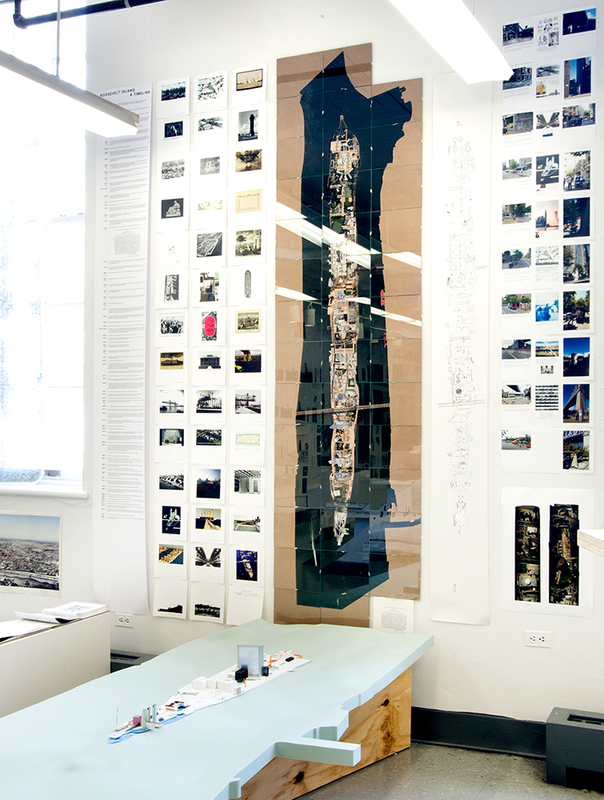 Taking this kind of inventory of ones work, even at the student level, is key to deriving and evolving an approach to singular specific programmatic elements, structural orders, and the derivation of new typologies as well as the critical re-writing of spatial passages and architectural memory. This legacy of thought is key to a thesis project, and is rich in the process of learning ones own approach to the relationship between form and content, structure and program for each architect. The students were asked to select an event and derive an institution that addressed some kind of emancipatory program that responded to the outcome of that event. 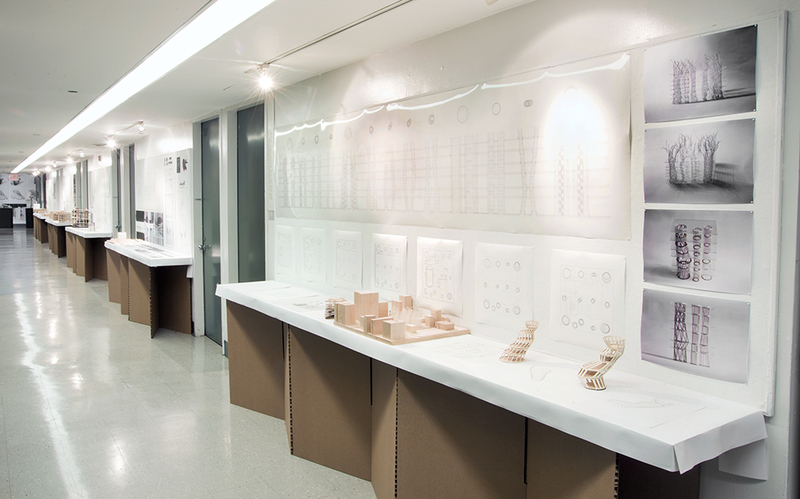 This studio is devoted to the pursuit of the relation between form and program for each of its students. 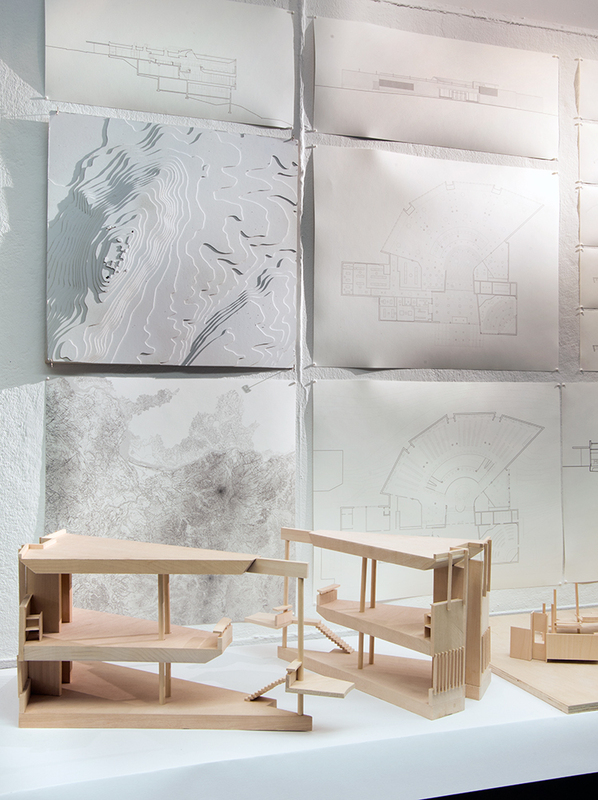 In this effort and examination of the autonomy of structure and use, the architect can decide what type of participation he or she wishes to make in the domain of civic and humanitarian architecture. 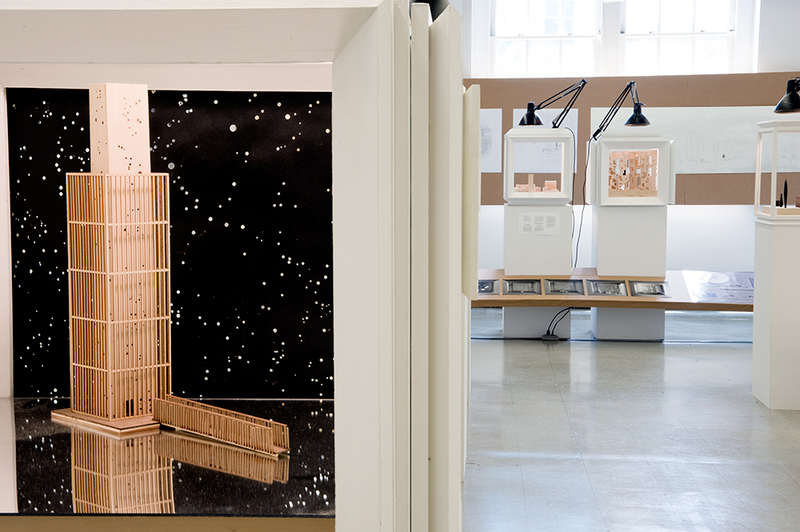 The questioning of these relationships is the foundation of critical practice, which is a fundamental consciousness profoundly important to the study of architecture at The Cooper Union. 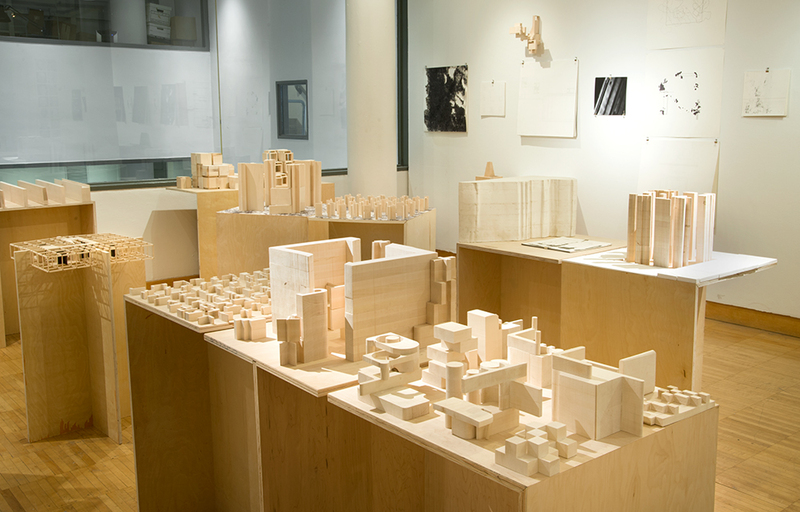 This studio focuses on Urban Form through the exploration of the many different forces that intersect in generating it. Three cities, representing the forces at play in the contemporary city, social, cultural, economic, political, and/or morphological, are given as the site of this enquiry revealing through the readings their own many not obvious self generated architectures. Through the reading process as the articulation between a creative subject and the various texts of the city: writings, drawing, building, photography and film, another city is revealed and manifested. Political Events is the narrative through which readings on the selected cities are produced. In the development of the projects emphasis is placed on the process. 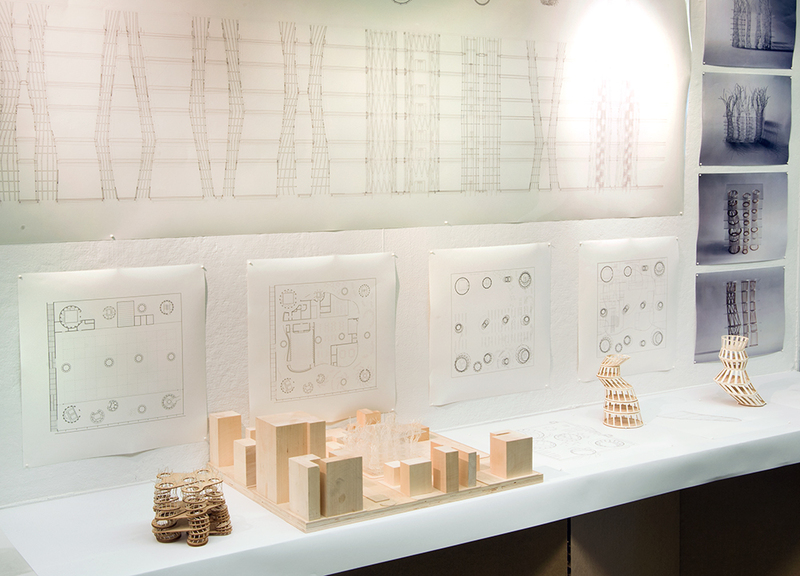 Drawing and physical models, as tools for critical thinking are at the heart of these explorations. Nature—as a real object and as an object of study—is the subject of this studio, from the philosophical and scientific discourses that have explained it throughout history in its transformations to the present conditions of the natural world as they affect our modes of habitation. Focusing on the materiality and forces of nature as they are manifested in various phenomena and configurations is essential at this moment in time. A different dimension of space and scale is the object of this exploration. The scale is vast in most cases, dealing with places such as deserts, canyons, rivers, glaciers, fault lines, volcanoes, coral reefs, dunes, etc. Time, is here of a cosmic dimension that relates to the Universe and a central theme as these are formations that took billions or millions of years to develop and thousands for transformations to be perceptible until the most recent history where processes of transformation have accelerated. The concept of time is not only essential to every project, but also places the work outside the traditional boundaries of architecture, urbanism or landscape. 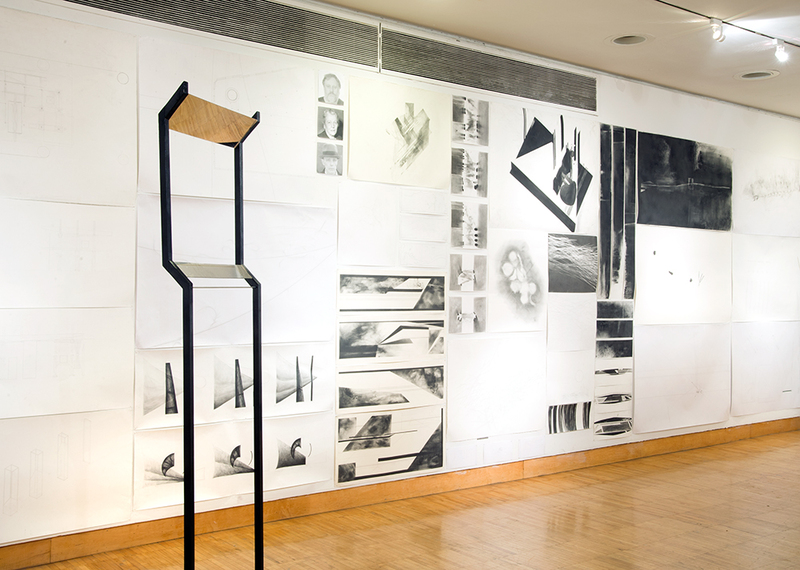 While projects are based on extensive and deep scientific research, the eye of the architect, through various systems of representation, drawings, photography, models and notational systems, which are an intrinsic part of this process of discovery, makes manifest these natural phenomena in ways that traditional techniques do not and thus uncover the extraordinary potentials.